Cheers to more amazing summer music. Maybe it’s his insanity, or maybe it’s the fact that Lil Wayne looks like a thirteen year old ready to rage at the zoo, or maybe it’s the fact that he ALWAYS looks like he’s having the time of his life. 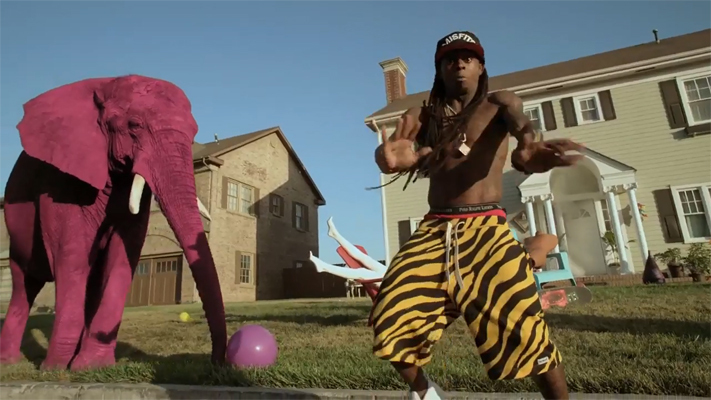 Either way, Lil Wayne’s music videos are always endless amounts of entertainment. From his outfits, to his moves to the things you see in his videos. It’s non-stop. The newest video for the first song off his upcoming album “My Homies Still” features Big Sean and is sure to have you only wishing you had been on set for the shoot.